A friendly inviting nose greeted the Panel neat with plenty of warm wood smoke, pipe tobacco and a peach, pear and plum tart straight out of the oven. 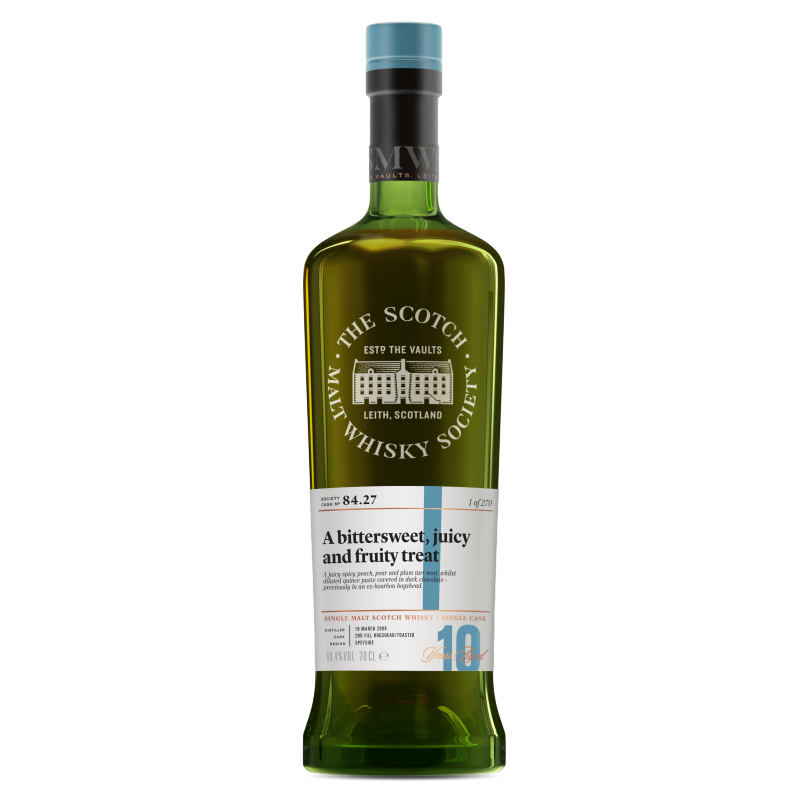 Wonderfully juicy, sweet (plenty of brown sugar) on the palate with a teasing cinnamon and nutmeg spice followed by a little ginger prickle – an absolute delight! A little drop of water and we got boozy spiced sugar plums, maraschino cherries and mango syrup whilst to taste now silky smooth like quince paste covered in dark chocolate – a bittersweet, fruity and juicy treat! After eight years in an ex-bourbon hogshead we transferred this whisky into a 2nd fill toasted oak hogshead.